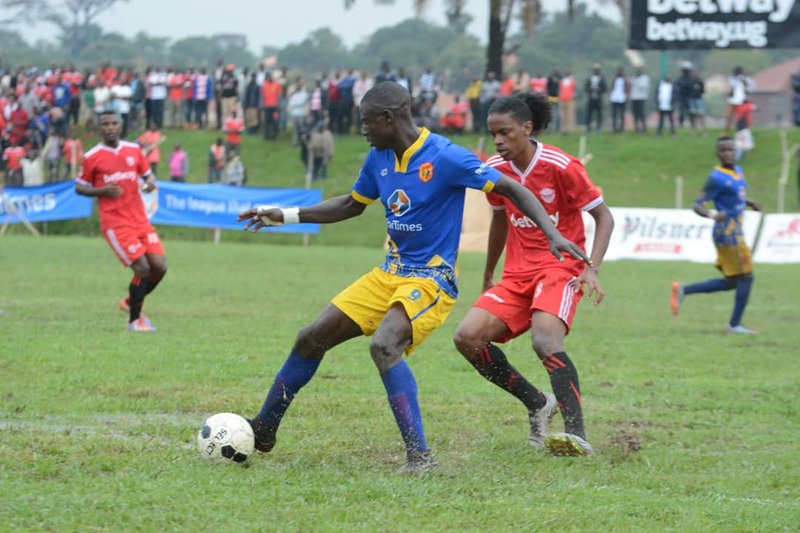 WANKULUKUKU – Express put an end to KCCA’s unbeaten start to the StarTimes Uganda Premier league thanks to a 3-2 victory at a wet surface in Wankulukuku. In the early exchanges, neither side was in control as the surface at the ground was slippery and hence hindering ball retention. The first chance of the game fell to Express star-player, Tony Odur who raced onto a long ball, clipped it over Charles Lukwago in KCCA’s goal but Filbert Obenchan cleared off the line to save Mike Mutebi’s side from falling behind early. At the other end, Patrick Kaddu collided with Express custodian Ronald Mutebi before the ball fell in the path of Jackson Nunda but the lanky midfielder could not capitalize as the home side cleared their lines. On 16 minutes, Birungi put Express in the lead. The energetic winger beat the Kasasiros’ backline to node in Badru Nsubuga’s cross from the left. KCCA could have leveled matter 8 minutes later but Galiwango produced a goal line clearance following Obenchan’s header off a Mustapha Kizza corner. Two minutes later, Mutebi who looked shaky in cross collection, mishandled a gift Ali cross but was on hand to save Muzamir Mutyaba’s rebound and in process, preserve Express’s lead. At the hour mark, Birungi produced an energetic run down the right, beating three KCCA players including custodian-Lukwago but his cut back was intercepted by Saddam Juma who cleared the ball away from danger. Like KCCA earlier, Express were also forced into a an early substitution when goalkeeper-Mutebi was forced off with injury and replaced with Tony Kyamera. Patrick Kaddu’s booking in the build up to Mutebi’s injury was the last action of the first half and the two sides were sent into the break with Express lead in 1-0. At the start of the second half, Muetbi made his second substitution, sending on Allan Okello in place of Steven Sserwadda. Five minutes into the half, Tony Odur missed a glorious opportunity to but his side 2-0 up when he mis-cued a shot inside the area while one on one with Lukwago. A minute later, Odur was made to pay for his miss as Kyambadde nodded in Nunda’s cross from the left to level matters for KCCA. Odur who looked in poor shape was replaced by Mubarak Nsubuga at the hour mark. KCCA made their final substitution on 65 minutes with Muwadda Mawejje replacing Muzamir Mutyaba. With 21 minutes to play, Kambale restored Express’s lead with a well taken strike off Nsubuga’s pass after KCCA captain Timothy Awanyi had failed to deal with a routine long ball down the right. In the aftermath of the goal, Kambale was booked for taking off his shirt during the celebrations. Three minutes later, Birungi was also booked for time wasting as Express prepared to take a corner. However, Birungi’s decision to let Galiwango take it paid off big time as the left-back swung in the resultant kick straight into Lukwago’s hands and after the custodian gambled with the ball, assistant referee-William Oloya deemed it to have crosses the line, putting the home side 3-1 up with only 16 minutes to play. For minutes later, Kaddu nodded a Kizza cross off the cross-bar and out for a goal kick. 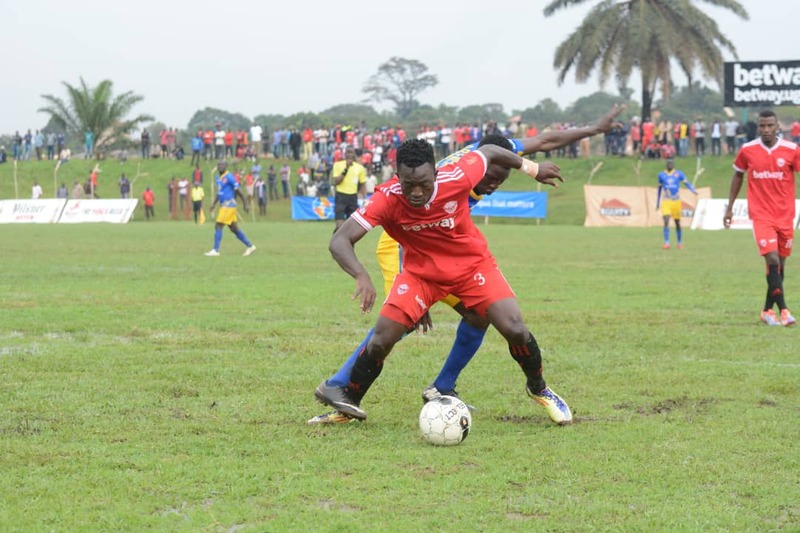 However, the Kasasiro would not be denied a second time as Okello headed past Kyamera to ensure KCCA trail by only one going into the last 10 minutes. As KCCA pressed for an equalizer, Ibrahim Kayiwa missed the last chance of the game when he nodded wide a Birungi cross from the right, while unmarked in the area. Victory for Express puts an end to a three game winless run for the Red Eagles and sends them into 8th on the log with 16 points. 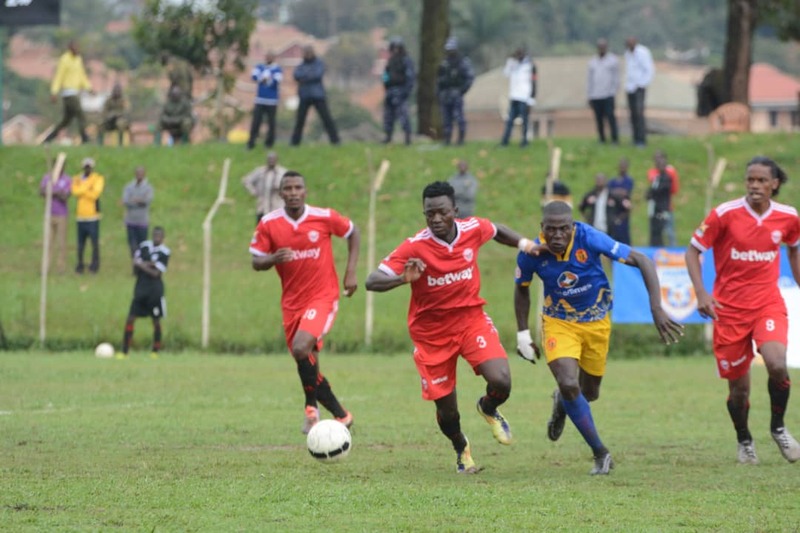 For KCCA, they remain top of the standings with 24 points from 11 games.